Terroir is the Prince Edward County Winegrower’s Association’s annual spring wine and food festival and market. 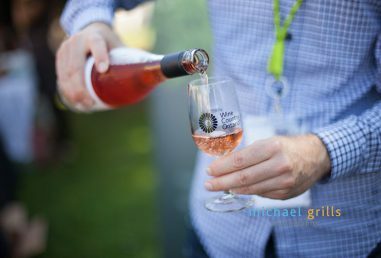 This one day event takes place at the beautiful Crystal Palace in Picton and showcases some of the best wineries, restaurants and artisanal quality food producers in the area. If you haven’t heard, Prince Edward County is one of Ontario’s hottest culinary tourism destinations, and Terroir brings the best together in one place. – Start with a walk around to see what all the different vendors are serving. This is sort of like looking at the menu before you order. – Grab a glass of something to sip on a bite to eat while you plan the rest of your day. – You’ll want to check out the schedule of free seminars (some of them have free samples…) Seating is limited so get to the Blue Bird Room early to avoid disappointment. – Try some things that are out of your ordinary comfort zone. The sample sizes mean being able to try more for less. – Talk to the vendors. They’re proud of the quality of their ingredients and the care taken with their creations. They’ll be happy to tell you all about their products. – When you find a wine you really like, buy a bottle to share with friends at home. Be sure to ask the vendors all about what you’ve bought so you can go home and impress your friends with your extensive knowledge of The County and the winery it came from. – Take pictures of your food. Really. Post them to Facebook or Twitter with @PECWines #PECWeekend for your chance to win great prizes. – Bring cash for sample tickets to avoid lining up at the ATM. – Pace yourself – wine samples are cheap, which is great, but can lead to overdoing it. Remember all the food that will be around too so you aren’t drinking on an empty stomach. – Drink responsibly. There is a free shuttle service to and from points in The County so you can leave your car at home. Tickets to Terroir are available online at www.countyterroir.ca and if you want to earn your admission through volunteering, contact info@princeedwardcountywine.ca.